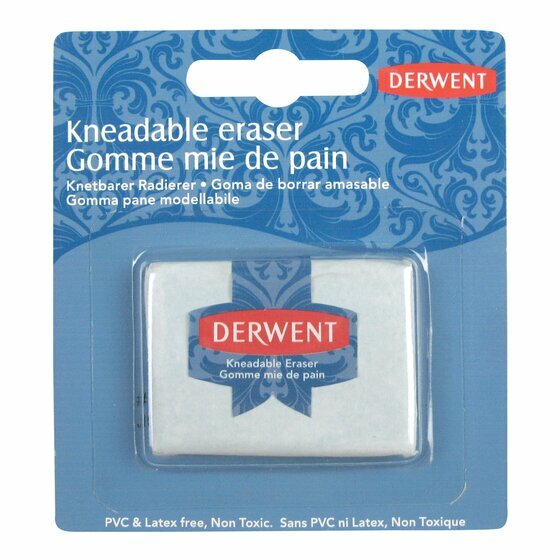 Perfect for lifting out tone and colour the kneadable eraser is soft and pliable and comes in wax paper to help keep it fresher for longer. Mould the eraser until soft, pull into a point so it can be used to remove areas of colour or graphite. Can be used for artistic techniques such as highlighting stippling and ghosting. Can be used in conjunction with all Derwent media.